Each month a box arrives in the mail with a letter from the Chief Seer of the Society of Seekers. 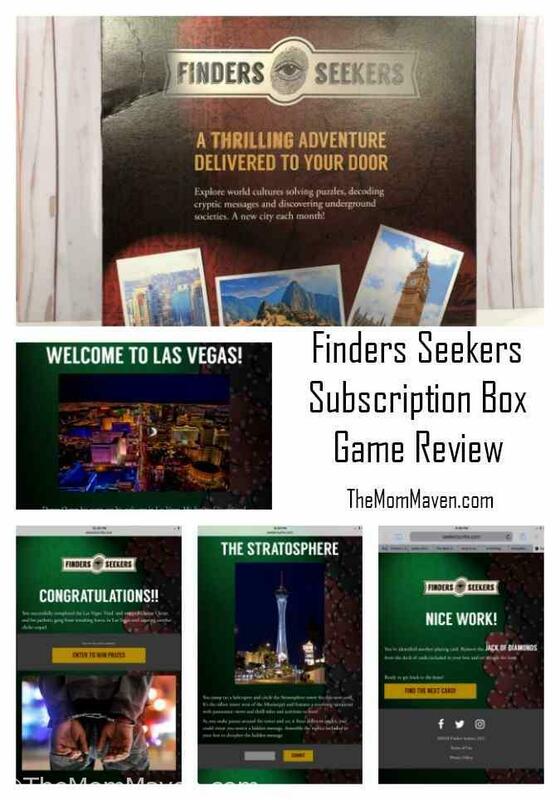 The letter outlines which city you will be seeking in, the game pieces that are included in the box, the website that you will be playing at, and an invitation to the Finders Seekers Facebook Users Group-which is helpful if you need a hint to move forward in the game. Yes, the game is played online with clues and props that come int the box. We used my iPad and I left the game open in a tab in my browser so that anyone who had time to work on it could just grab the iPad. On a recent Monday night, all 3 of us were home so we set aside a few hours to complete this quest. In our first 2 1/2 hour evening we completed the first 6 of the 10 puzzles. Over the next 2 weeks we would work on it separately or together depending on our schedules. Aaron was in town for a few nights and he helped us too. Puzzle 10, the final puzzle was crazy hard, but so much fun! I’d love to get this box in the mail every month. 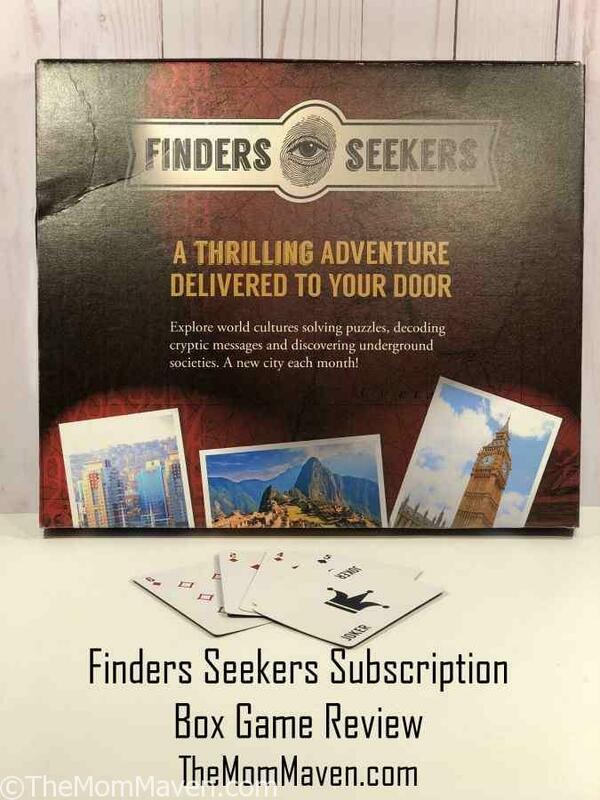 Receive a curious package every month that initiates a fun and challenging ‘Find.’ Explore world cultures solving puzzles, decoding cryptic messages and discovering underground societies. A limited number of boxes are sold each month so to ensure you receive yours there are different packages available. In all it took us about 6 hours total to solve the 10 puzzles in the Las Vegas box. I loved that there were different kinds of puzzles because I am good at word puzzles and patterns, Jordan is good a details and ciphers, and Ron is good at looking things in different ways. It definitely took all 3 of our brains and a little help from the Facebook Users Group to solve the Finders Seekers Box. If Finders Seekers sounds like something you would like to try for yourself or give as a gift, visit their website and look around. We highly recommend this game for fun with family or friends. Really so lovely post and helpful. I like this post.